Home » Who is This Superhero and What is She Fighting for? 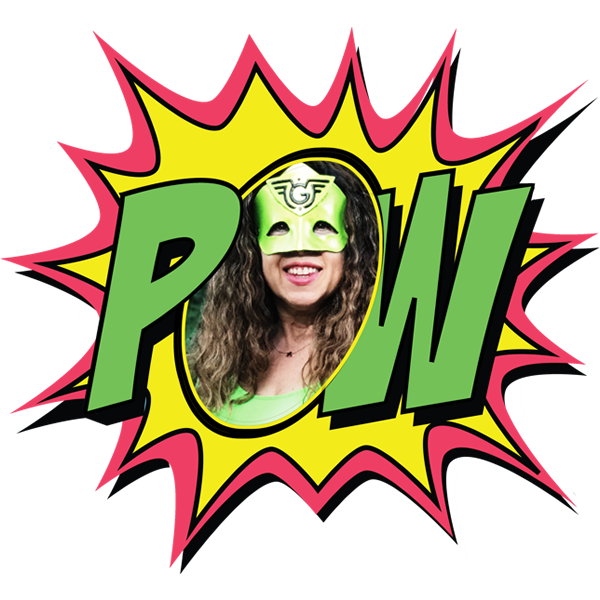 Who is This Superhero and What is She Fighting for? I’m Nina Miller – a Consumer Advocate, Nutrition Activist and Food Awareness Coach. So much seems to be backwards in our modern world: the USDA food chart is designed by the food industry to sell more soy, wheat, corn, and dairy products (because of these powerful lobbies); the government creates laws that support the interests of corporations instead of consumers. For example, you might wonder why the percentage of sugar is never listed the nutrition facts? It’s because the American Beverage Association, a powerful lobby with influence in Washington, doesn’t want you to know that it’s 40 grams–or 12 spoonfuls of sugar–which exceeds your weekly allowance. I want to bring to light all that is hidden from unsuspecting consumers; to expose harmful products; to explain all the misinformation out there; to put pressure on local stores and restaurants, manufacturers, and the government to move away from (and regulate) ingredients that are making Americans chronically ill, all the way from eliminating hormones and antibiotics in meat to banning carcinogenic styrofoam to-go containers. I see well-intentioned parents giving their children food that is slowly poisoning them; children that are having reactions that parents don’t realize are from the food; and, of course, kids who are being fattened up with “non-fat” foods that parents honestly thought were a good idea. I want to let parents know there is a much healthier way! I offer customized shopping and eating strategies for my clients. I collect information about the eating habits and challenges of your family; I lead a grocery expedition in which I explain how to shop more effectively; finally, I present you with suggestions, strategies, and resources to make eating healthy easy. I have an arsenal of tools to get you on the right track and can’t wait to get the toxins out of your diet! Contact me for a personal evaluation. I also make presentations to schools and companies in conjunction with Amy Tyler, ND, the esteemed Naturopath from Peoples Pharmacy. We help parents, kids, and employees understand the connection between food choices and productivity, focus, and behavior. Contact me to schedule an event. 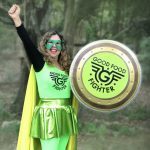 The Good Food Fighter is available for family consultations and speaking engagements at your school, business or community group.